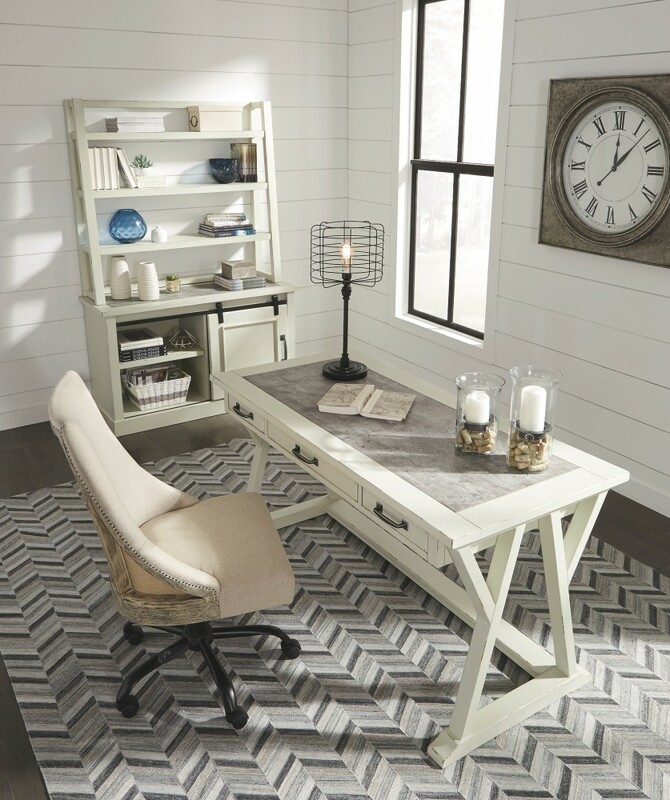 Can’t decide between farmhouse or industrial style? 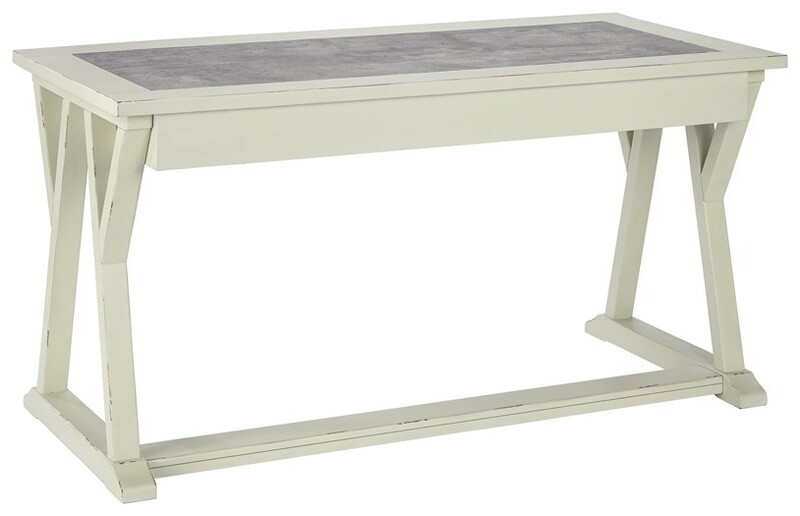 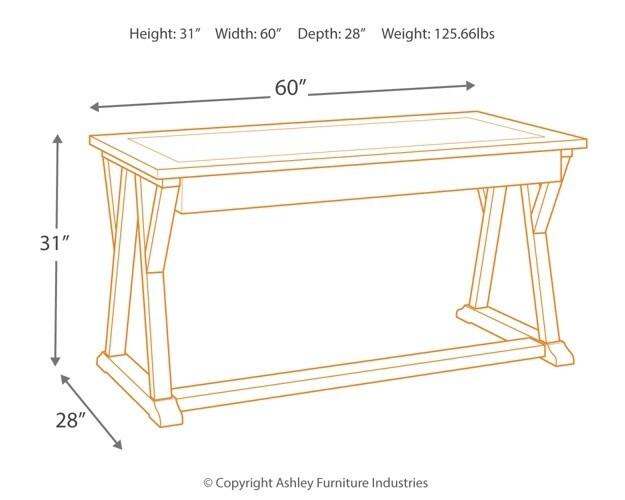 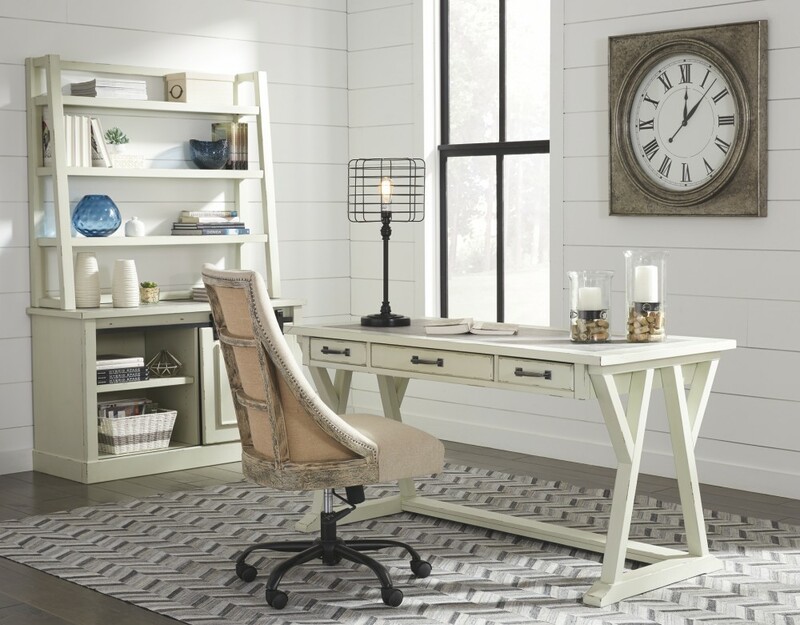 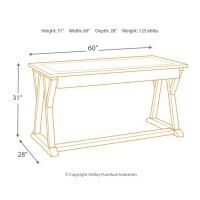 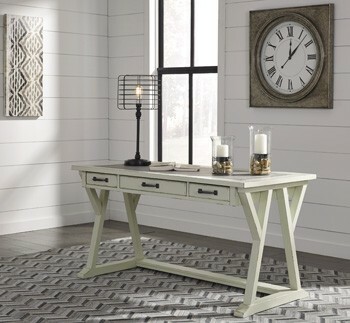 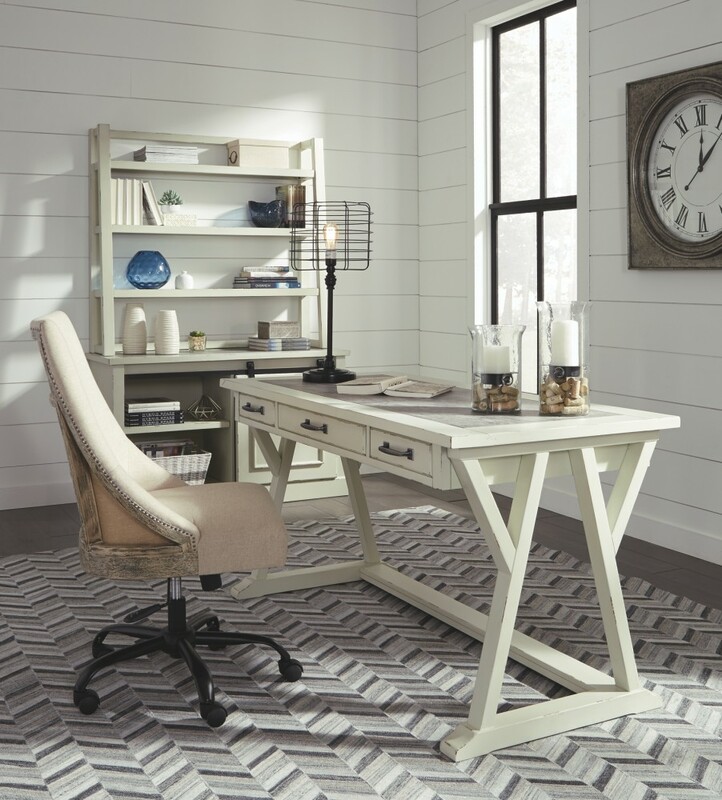 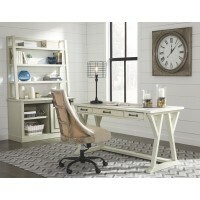 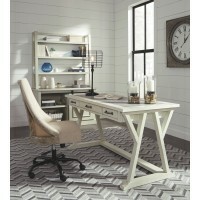 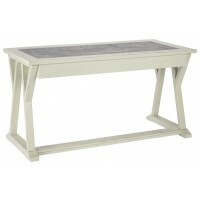 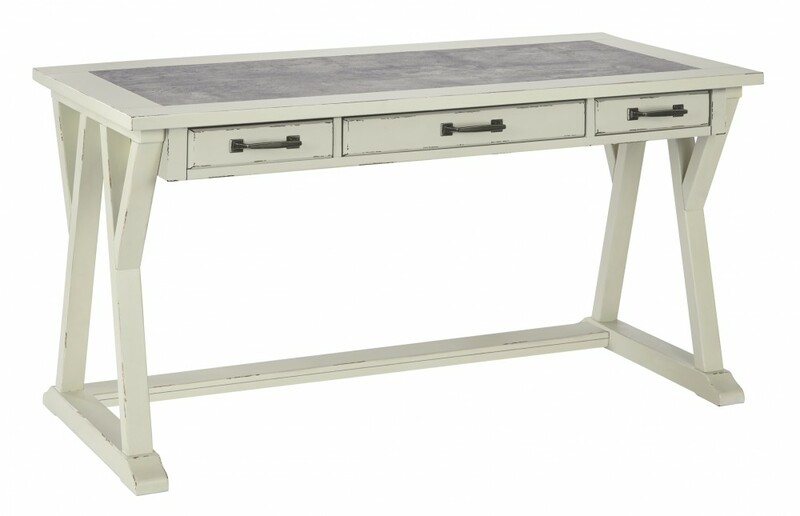 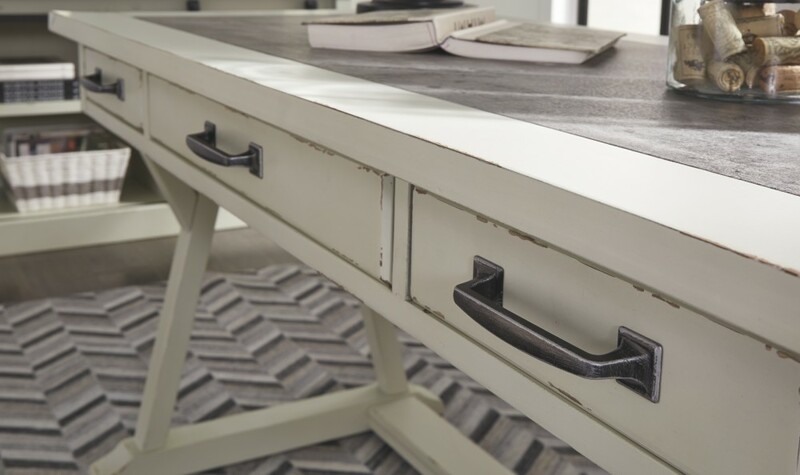 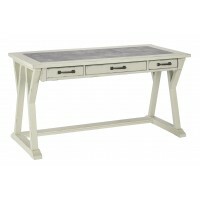 Make a striking compromise with this home office desk. 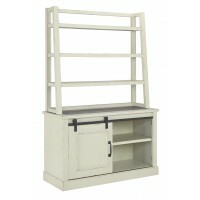 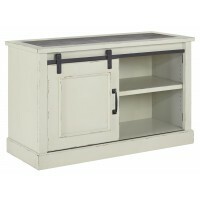 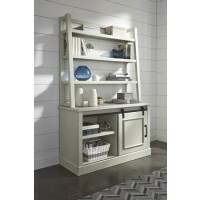 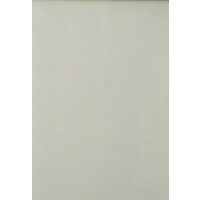 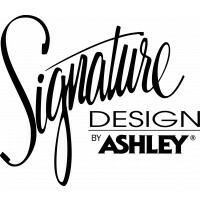 Generously scaled and loaded with charm, it includes a trio of smooth-gliding drawers to help you stay organized.  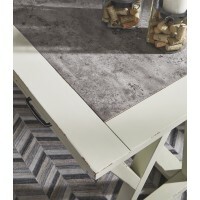 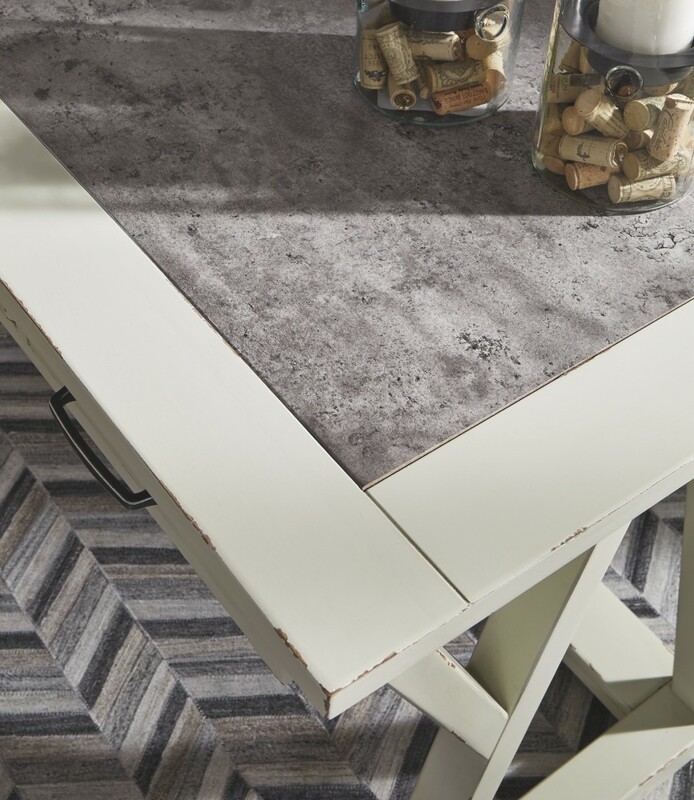 Faux cement top adds another layer of interest.